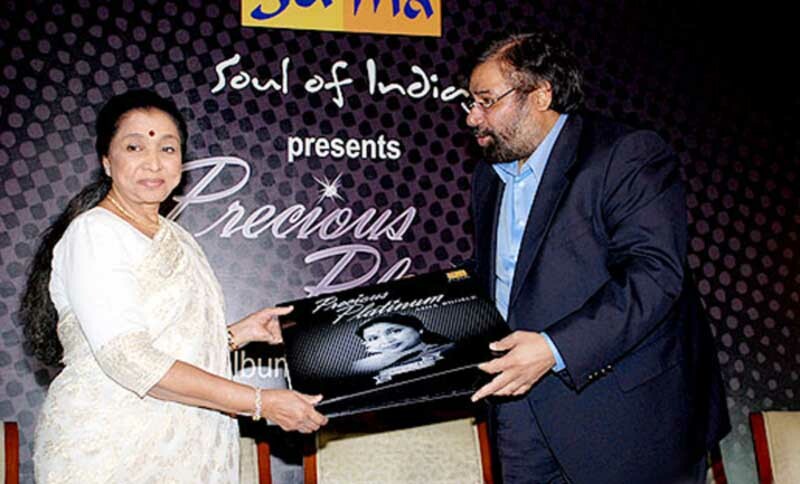 Sa Re Ga Ma released a new album on Asha’s 75th Birthday – Precious Platinum. The album is a collection of Asha songs composed by Nitin Ramesh Shanker. The Album is on an attractive pack and is worthy of being a part of the collector’s collections. This entry was posted on Wednesday, September 10th, 2008 at 12:22 pm	and is filed under Albums. You can follow any responses to this entry through the RSS 2.0 feed. You can leave a response, or trackback from your own site. I always admire this wonderful lady. Her songs sometimes cause my tears to flow.